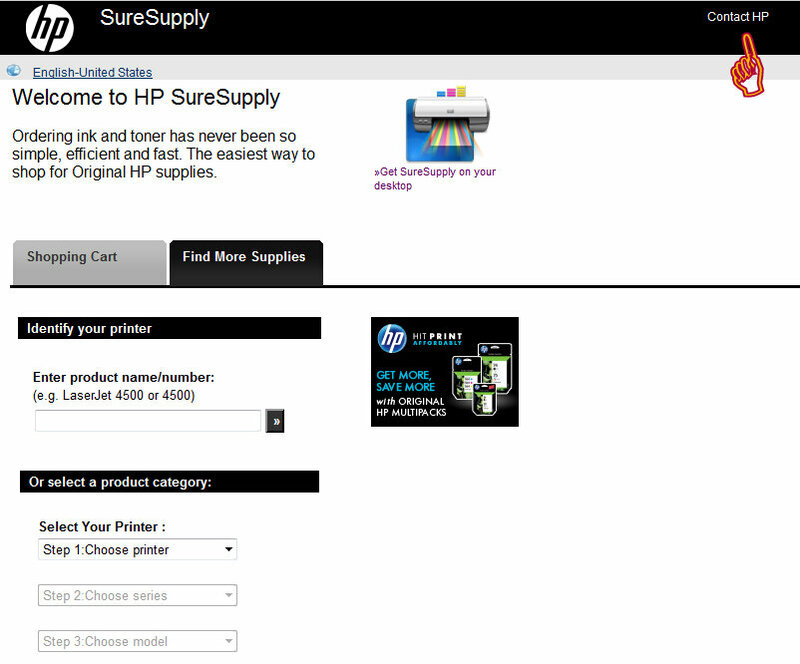 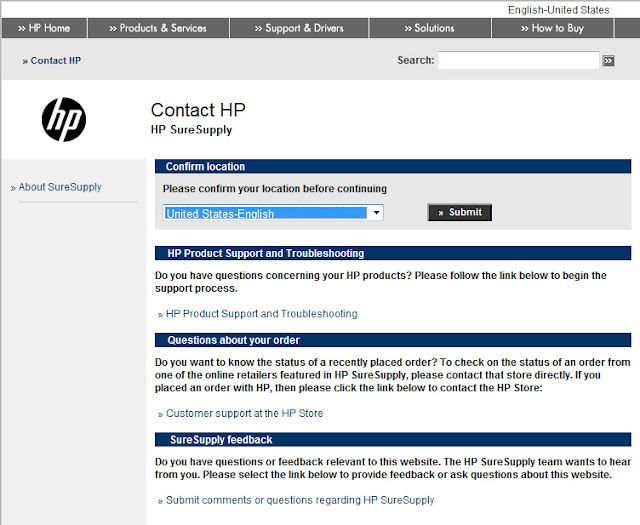 I click the "Contact HP" link at the top-right of the HP SureSupply home page. I click the "Submit" button to confirm my location. 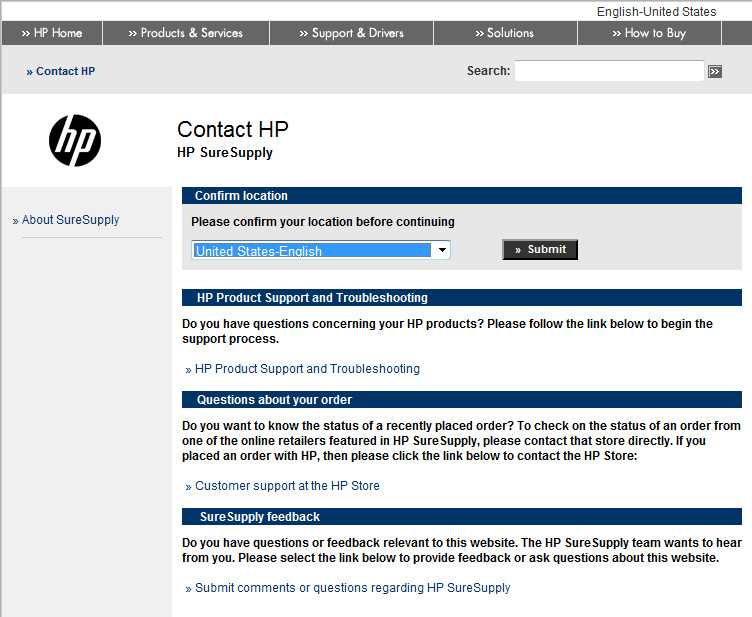 What happens if I click "Contact HP" again?